The YCDSB recognizes that our students have a diverse set of needs, skills, goals and preferred learning styles. Regardless of their differences, we are at our best when we help all students discover and develop their God-given gifts and their sense of vocation and purpose. Guided by the principles of excellence, access and equity, we look for innovative ways to ensure a successful outcome for every student. Students can enroll in an eLearning course as one of their four day-school courses in either Semester I or Semester II. 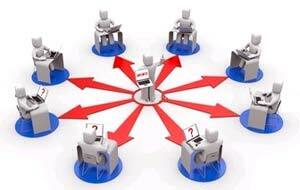 Our model of delivering eLearning courses is referred to as “asynchronous”. That means that students and their teacher don’t have to be on-line at the same time. Asynchronous eLearning makes it possible for students to log on to a virtual learning environment at any time of the day or week and download documents or send messages to teachers or peers. This approach is the most flexible of all eLearning course formats. In many respects, eLearning courses differ from traditional face-to-face classes in the delivery format only. As is the case with our regular day-school classes, eLearning courses are written from a distinctly Catholic perspective. Secondly, every teacher of an eLearning course is a full-time, qualified teacher with the YCDSB. Thirdly, teachers use a wide range of collaborative, communication and administrative tools to support student learning. This program is only available to YCDSB students. Which Courses Are Being Offered? There are numerous courses being offered each semester, primarily at the grade 11 and 12 level. Please view our course list. eLearning courses begin at the start of each semester. Students must participate in an orientation session and complete all course work by the end of the semester. Explore the rest of this site. Attend any information meetings that explain e-learning. Speak to your parents/guardians about your desire to take an e-course and view webinars together. Speak to your Guidance Counsellor to enquire about enrolling.